Restored steam locomotive A2 986 on test runs between Newport and Sunshine. A2 986 Steam Locomotive - Steamrail Newport Yard. 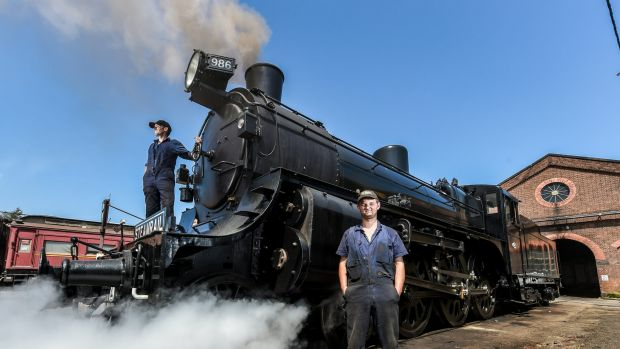 A 101-year-old steam locomotive will be enjoyed by the public for the first time in more than 50 years, thanks to a team of volunteers which have brought it back to full working order. Planning Minister Richard Wynne and Heritage Victoria Executive Director Tim Smith were at the Newport Railway Workshops in Melbourne’s west on Friday to see the locomotive in full steam ahead of the Steamrail Victoria open weekend. The restored A2 986 locomotive was built in 1915, ferrying passengers until 1963 when it was withdrawn from service and later retired to a park in Warragul. 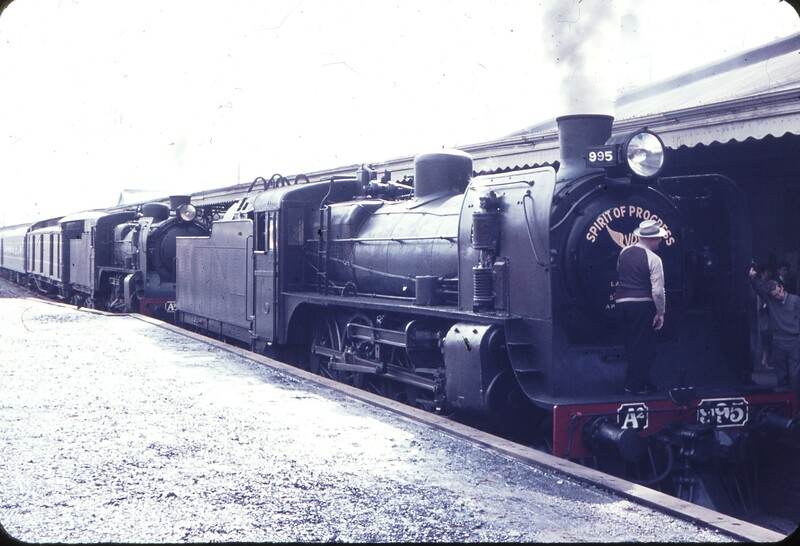 In 1986, Steamrail Victoria volunteers brought the A2 back to its Newport workshops home and, 30 years later, it is now the only working engine of its type. The A2 will be one of 13 locomotives on display this long weekend, including the first and last locomotives ever to be built at the Newport rail yards in 1893 and 1959. 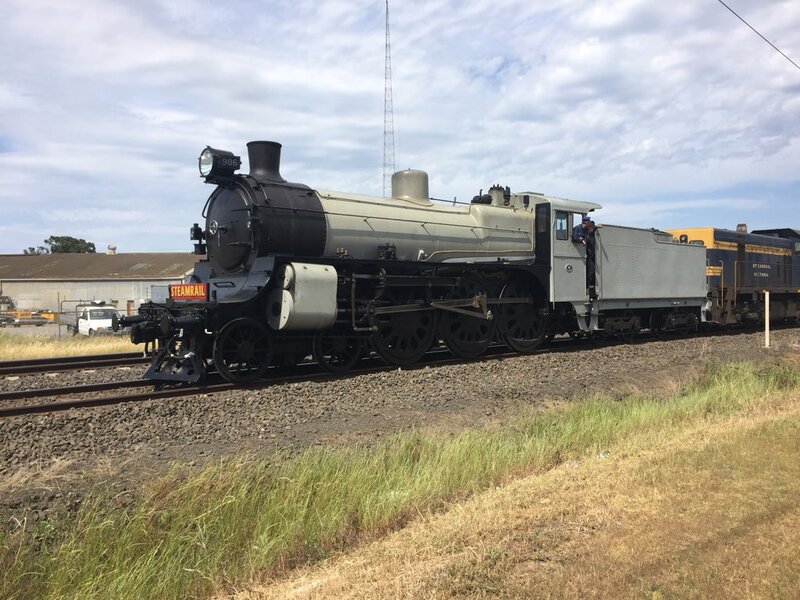 Polly, the first train built at Newport, is on loan from Scienceworks for the event and will feature alongside the Ballarat-built Y112, the oldest working steam engine in Australia. Other displays will include the 113-year-old Victorian Railway Commissioner’s locomotive, and sleeping carriages from the Southern Aurora, the Overland and the 1910 Adelaide Express. 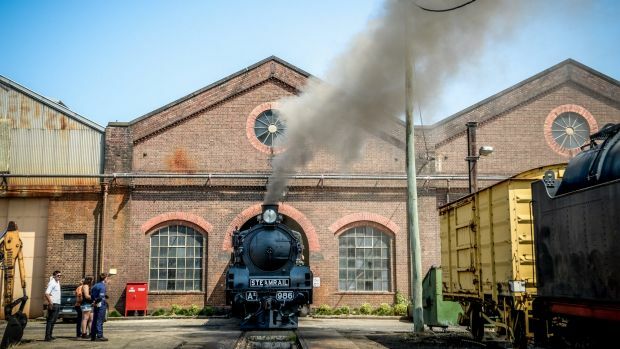 Throughout the year, Steamrail Victoria run locomotive trips around the Melbourne suburban lines and the VLine network and open the workshops every two years to the public. The Newport Railway Workshops, built from 1888, are listed on the Victorian Heritage register for their historic, scientific and archaeological significance to Victoria. Built in the style of British railway workshops from the same era, the Newport Railway Workshops are regarded as one of the best intact 19th century rail workshops in the world. My Grandfather's favourite locomotive was the A2. Superb locomotive. An outstanding effort to return this locomotive to service. The mighty and magnificent .. A2 986 comes alive ..
@SteamrailVic CONGRATULATIONS SRV on return of A2 986 to main line service today after 53 years in retirement. Magnificent. An A2 returns to duty after a 53 year spell ..
Victorian Railways' photograph of 4-6-0 A2 class express passenger locomotive No. 986, on the turntable at the former North Melbourne locomotive depot, circa 1916. A2 986 is 101 years old. The A2s were the main stay of VR fast passenger services in steam days. 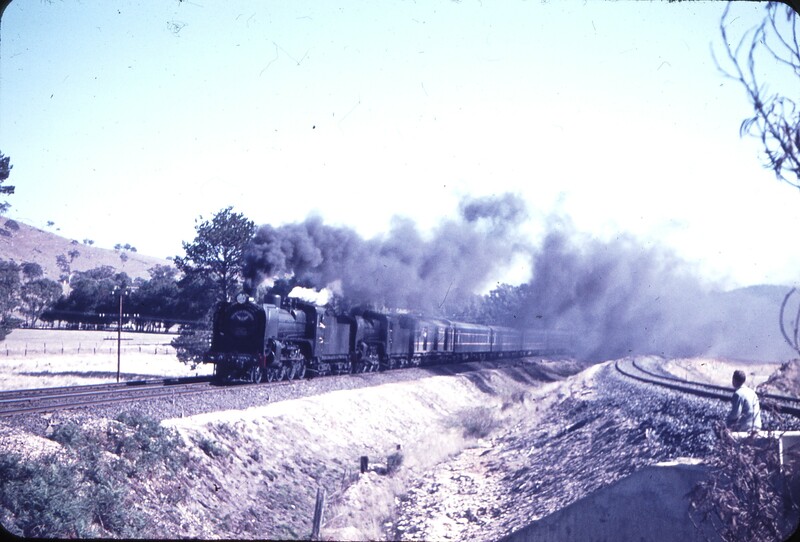 The last broad gauge Spirit of Progress was hauled from Albury to Melbourne by double-header A2s almost as a tribute to this fine class of locomotive. Marvellous effort to return this locomotive to mainline service. A longer vid of run to Seymour on 30/7/2016. to help us celebrate this magnificent milestone! Below are a list of the scheduled times tomorrow's journey to Warragul. Please Note: All passengers, please aim to be at the station you are boarding from at least 20 minutes prior to the scheduled departure time and listen to all station announcements regarding the arrival of our train. Note our train will NOT be stopping or Picking up/Dropping off at Caufield, Oakleigh & Dandenong in either direction. Pick up and set down stops are Southern Cross and Flinders Street only. To allow A2 986 to turn for the return journey to Melbourne it will continue down the line to Traralgon, which are listed below as well. Timetable - Journey to Warragul/Traralgon. Note: 'Welcome back' ceremony held at Warragul. There will be an active A2 986 sightings post made and general updates throughout the day. 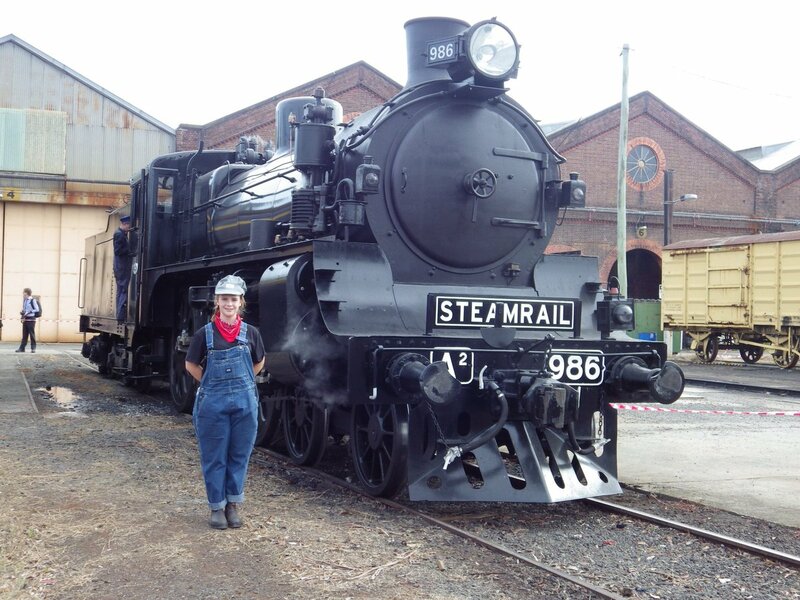 Steamrail Victoria operates Saturday's train as a celebration for returning A² 986 to service after nearly 31 years of restoration by our volunteers. The train is running on the V/Line railway network and as such high speed V/Line trains will be running past the train and past areas where people may be gathered to see the train come past. As excited as we know everyone is about A2 986's return, we do remind you about some important safety messages. In the interests of your safety, if you chose to see the train from a passenger platform, ensure you remain behind the yellow line at all times and if viewing the train line-side ensure you do not enter the Railway Corridor or Trespass at anytime and remain well clear from the edge of any railway track, this includes Railway Sidings, Yards (Used & Disused) and the Main Lines where trains pass by. Thank you for your cooperation. The significance of this first revenue service to Warragul is that A2 986 used to be ' stuffed and mounted ' in a park at Warragul. Part of the conditions that was agreed to when the locomotive was recovered from the park ( a J was swapped ) was that when the A2 was restored to running condition the first real passenger journey be back to Warragul. And so it has happened. This is why the 'Welcome back' ceremony is being held at Warragul. A2 986 storms through Hawksburn on the way to Gippsland this morning ..
Murrumbeena <> Hughesdale. Crikey, must have been in a chopper .. Excellent video this. Has some great footage of sky rail construction as the A2 heads east to Gippsland ..
Steamrail's A2 986 (steam) and T356 (diesel) locomotives along with V/Line's N472 haul the last Broad Gauge steam train down Wycheproof's famous Broadway main street. This railway line will be converted to Standard gauge in early 2018.